While cruising at 23,000 feet, air traffic control advised of reduced visibility into Durango, with a ceiling of only 800 feet and light snow and fog in the area. ATC asked the pilots whether they wanted to make an ILS approach to Runway 2, or a visual approach to Runway 20. From the plane's location, making the ILS landing would have required backtracking to make the approach to Runway 2, adding 10 minutes to the flight versus a more direct approach into Runway 20. The captain, who had a reputation as a pilot who could make up for lost time and attempt to arrive on schedule, chose the visual approach to save time. The first officer flew the approach into Durango. Cleared to begin descent, he flew in at a rapid descent of 3,000 feet per minute, which was more than 3 times the rate intended for the approach. Passing 14,000 feet the flight continued to descend until it struck the ground, and then pitched up. The plane rolled several times before striking the ground again and eventually slid to a stop 5 miles from the airport. The NTSB learned that the first officer had a history of alcohol abuse. 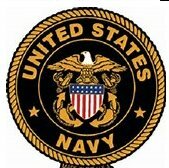 However he had completed a physical exam the day before the crash, and was found to be free of alcohol or illegal drugs. During the investigation, the NTSB was informed that the captain had used cocaine the day before the accident. Tests on the captain's body found traces of cocaine and metabolites in his blood and urine, and the NTSB concluded that the captain likely used cocaine 12 to 18 hours before the accident, and that his piloting skills were likely degraded as a result. The NTSB determined that the probable cause of this accident was the first officer's flying and the captain's ineffective monitoring of an unstabilized approach which resulted in a descent below the published descent profile. Contributing to the accident was the degradation of the captain's performance resulting from his use of cocaine before the accident. 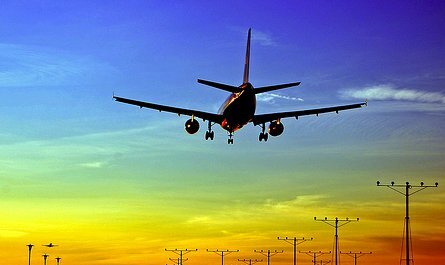 The FAA mandated the installation of flight recorders in all aircraft operating scheduled flights. 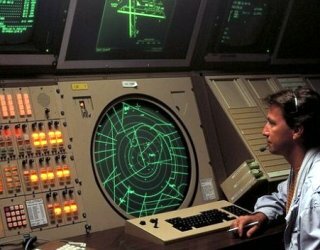 April 5, 1988 - FAA decommissioned the last radar bright display equipment being used at a domestic Air Route Traffic Control Center when it shut down the unit at the Los Angeles Center. On the same day, FAA terminated the last broadband radar service, when it stopped that service at the Paso Robles, California, long-range radar facility. FAA had gradually replaced the broadband with the Direct Access Radar Channel (DARC). 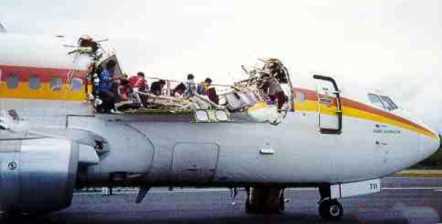 April 28, 1988 - Aloha Airlines Flight 243 on a scheduled flight between Hilo and Honolulu, Hawaii, a Boeing 737-297, suffered extensive damage at 24,000 feet, after an explosive decompression in-flight, but was able to land safely at Kahului Airport on Maui. There was one fatality, a flight attendant, who was ejected from the airplane. 65 passengers and crew were injured. 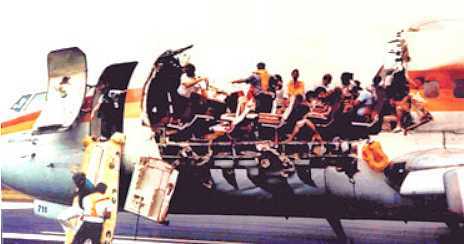 The safe landing of the jet, despite the substantial damage which tore off a large section of the top half of the aircraft skin extending from just behind the cockpit to the fore-wing area, by decompression established this flight as a significant event in the history of aviation. Both pilots heard a loud "clap" or "whooshing" sound followed by a wind noise behind them. The first officer head was jerked backward and she said that insulation was floating in the cockpit.  The Captain observed that the cockpit entry door was missing and saw blue sky where the first-class ceiling had been, and immediately took over the controls of the jet. The crew, and an air traffic controller in the jump seat donned their oxygen masks, as the captain began an emergency descent. Because of the ambient noise, the pilots had to use hand signals to communicate. The first officer set the transponder to emergency code 7700. The only fatality was a flight attendant who was blown out of the airplane. 65 passengers and crew were injured. (There were 90 passengers and a crew of five on board.). (1 Fatality). The NTSB concluded that the accident was caused by metal fatigue exacerbated by crevice corrosion (salt and humidity in a coastal environment). Contributing cause was the Aloha Airlines maintenance program's failure to detect disbonding and fatigue damage. . This B-737 was 19 years old at the time of the accident and had sustained the 2nd most takeoff-landing cycles for a plane in the world. Also Aloha management failings, FAA regulatory deficiencies, and Boeings failure to ensure correction of certain B-737 construction problems. The FAA ordered inspections of all B-737-100 and B-737-200 jets logging more than 55,000 landings and restricted those planes to 23,000 feet until inspected. May 8, 1988 - A fire at an Illinois Bell Telephone Co. switching center drastically limited communications between the towers at Chicago's Midway and O'Hare airports, the Aurora air Route Traffic Control Center and all aircraft. The 56-hour outage resulted in major air traffic delays throughout the country. June 30, 1988 - FAA issued a rule expanding requirements for Flight Data Recorders (FDR) and Cockpit Voice Recorders (CVR) requiring CVTs (Continuously Variable Transmission) on all multi-engine, turbine-powered commuter and air taxi aircraft with 6 or more seats and were required to have a two-pilot crew. Also FDRs are now required on newly manufactured large commuter aircraft. 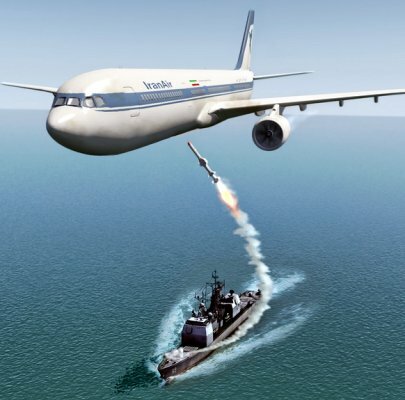 The Vincennes crew incorrectly identified the Iranian Airbus A300 as an attacking fighter. The crew made 10 attempts to contact the crew of the flight on military and civilian radio frequencies, but received no response. The United States and Iran reached a settlement in 1996 at the International Court of Justice which included the statement "...the United States recognized this incident as a terrible human tragedy and expressed deep regret over the loss of lives..."
As part of the settlement, the United States agreed to pay $61.8 million (amounting to $213,103.00 per passenger), in compensation to the families of the Iranian victims. The takeoff was normal until the main wheels left the ground, and the jet began a violent rolling motion as the right wing dropped. The jet's tail made contact with the runway and 650 feet later, the right wingtip struck the runway. Due to compressor surges blocking the airflow through the engine, the jet was unable to gain altitude or maintain stabilized flight. At 900 feet beyond the end of Runway 18L, the jet's right wing hit the ILS localizer antenna, which set the wing on fire and it began disintegrating while the plane was still in flight. The aircraft struck the ground, sliding sideways and leaving a trail of wreckage before coming to rest 3,200 feet from the end of the runway. Fire erupted in the right wing area and quickly engulfed the rear of the aircraft. Total flight time was 22 seconds, from liftoff to the first ground impact. The NTSB listed the probable cause of the accident as inadequate cockpit discipline resulting in an attempt to takeoff without the wing flaps and slats properly configured, and a failure in the warning takeoff system. It was concluded that the jet's failure to gain speed was due to aerodynamic drag due to the high angle of attack rather than a loss of engine thrust. Examination of the Cockpit Voice Recorder (CVR) noted that they did not hear either pilot announce that they had deployed the flaps or slats, or the sound of the flap lever movement. 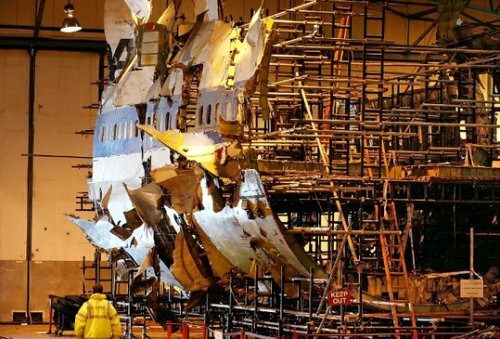 The NTSB determined that the plane's failure to climb resulted from the flight crew's failure to deploy the flaps and slats as required by the pre-flight checklist. Contributing factors: Delta's slow implementation of safety steps necessitated by the airlines' rapid growth, a lack of accountability in FAA's inspection process, and insufficiently aggressive action by the agency to correct known deficiencies at Delta, which had been the subject of a special inspection in 1987 following a series of incidents. Additionally, the CVR recorded extensive non-essential conversations by the first officer and a flight attendant and the captain failed to stop these repeated interruptions and conversations. The NTSB determined that if the captain had taken a more active role in managing the cockpit, the accident might have been prevented. After an NTSB hearing, all three crew members were fired from Delta. 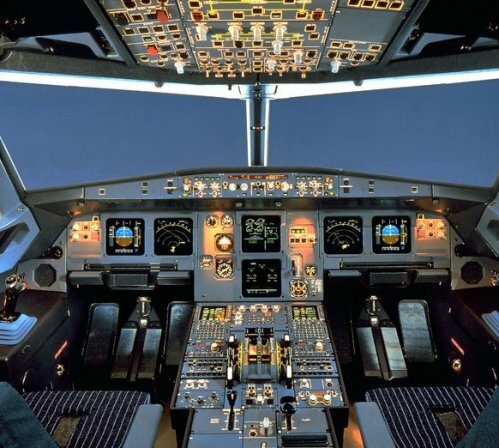 The FAA recommended that the Boeing-727 take-off warning systems (TOWS) be changed from a system activated by the aircraft throttles to one activated by engine pressure ratio (EPR). Delta B-727s which Delta had acquired from other airlines did have EPR-activated TOWS, but Delta did not convert its own aircraft to an EPR-activated system. They also recommended better inspections, required modifications to the B-727 takeoff warning system, and a variety of other measures. October 3, 1988 - The FAA, citing increasing congestion and a rash of Air Traffic Control Operational Errors, indefinitely reduced the maximum number of arrivals permitted at Chicago O'Hare from 96 an hour to 80. December 15, 1988 - The FAA issued a type certificate for the Airbus A-320, a short-to-medium range, twin turbo-fan transport with a seating capacity of 120-179 passengers. This single-aisle A-320 set industry standards for comfort and operating economy on short-to-medium-haul routes. It has a range of up to 3,500 nautical miles. The A-320 was the first civilian transport to incorporate "fly-by-wire" controls for elevators, ailerons, spoilers, tail plane trim, slats, flaps, and speed brakes. December 21, 1988 - An explosion destroyed Pan American World Airways Flight 103, Boeing B-747, near Lockerbie, Scotland, killing all 259 persons aboard and 11 on the ground. Flight 103 from Frankfurt, Germany to Detroit, MI via London's Heathrow and New York's JFK Airport crashed because of a bomb concealed inside a radio-cassette player that had been loaded into a forward luggage compartment in Frankfurt, Germany. Pan Am 103 had been cruising at 31,000 feet for approximately 7 minutes before radar was lost. 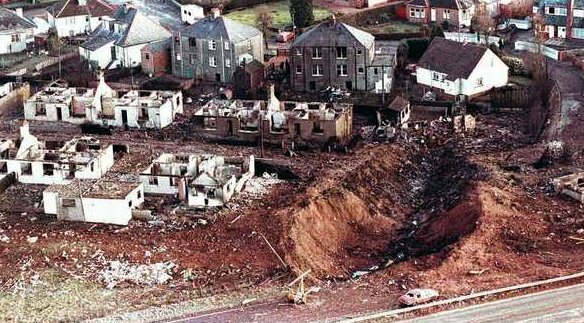 Major portions of the wreckage of the jet fell on the town of Lockerbie with other large parts landing in the countryside. Within a few days, items from the wreckage was found that indicated evidence of a detonating high explosive. Two major portions of the wreckage of the jet fell on the town of Lockerbie; other large parts, including the flight deck and forward fuselage section landed east of town. The wings impacted and produced a crater whose volume was approximately 560 meters. The weight of material displaced by the impact was estimated to be in excess of 1,500 tons. The wing impact created a fireball, setting fire to neighboring houses and 21 had to be demolished due to serious damage. Major portions of the jet, including the engines, also landed on the town of Lockerbie. 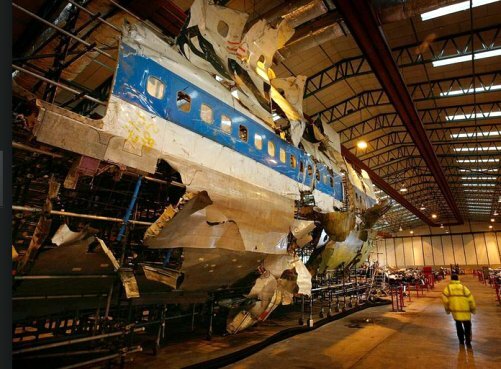 The British Department for Transport concluded that the nose of the aircraft was effectively blown off, and was separated from the main section within 3 seconds of the explosion. The nose cone was briefly held on by a band of metal but facing aft. It then sheared off, up and backwards to starboard, striking off the No. 3 engine and landing some distance from Lockerbie, near a Tundergarth church. The fuselage continued moving forward and down until at 19,000 feet its dive became nearly vertical and it broke up into smaller pieces. The section attached to the wings landed first, and 200,000 pounds of jet fuel ignited. destroying several houses and creating a large crater. The explosion punched a 20-inch hole on the left side of the fuselage. 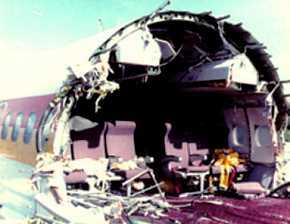 The cockpit voice recorder (CVR) indicated that no emergency procedures had been started in the cockpit. There was no evidence of a distress signal. Although the explosion was in the aircraft hold, the effect was magnified by the large difference in pressure between the aircraft's interior and exterior. The steering cables disrupted and the fuselage pitched downwards and to the left. 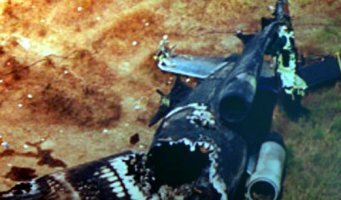 The fuselage of the jet was reconstructed by air accident investigators, revealing a 20-inch hole consistent with an explosion in the forward cargo hold. Examination of the baggage containers revealed that the container nearest the hole had blackening, pitting, and severe damage, indicating a "high-energy event" had taken place inside it. A series of test explosions were carried out to confirm the precise location and quantity of explosive used. Fragments of a suitcase believed to have contained the bomb, with parts and pieces of circuit board were identified as components of a Toshiba Bombeat "SF-16" radio cassette player. A circuit board fragment found embedded in a piece of charred material, was identified as part of an electronic timer. The captain, first officer, flight engineer a flight attendant, and several First Class passengers were found still strapped to their seats inside the nose section when it crashed in a field by a church in the village of Tundergarth. Some passengers may have remained alive briefly after impact, and at least two might have survived if they had been found soon enough. Thirty-five of the passengers were students from Syracuse University returning home for Christmas following a semester studying in London at Syracuse's London campus. Of 259 passengers and crew, 189 Americans were killed, becoming the deadliest act of terrorism against the U.S. since the Oklahoma City bombing and before the September 11, 2001 attacks. (270 Fatalities) including 11 on the ground. After a 3-year joint investigation by Dumfries and Galloway Constabulary and the FBI, arrest warrants were issued for 2 Libyan nationals in November 1991. 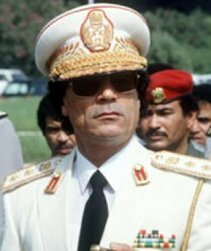 In 1999, Libyan leader Muammar Gaddafi handed over the two men for trial. 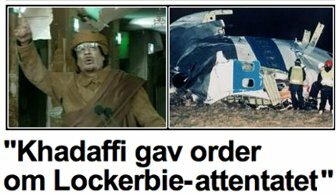 In 2003 Gaddafi accepted responsibility for the Lockerbie bombing and paid compensation to the families of the victims, though he maintained that he never personally gave the order for the attack. A former government official claimed that the Libyan leader had personally ordered the bombing, though this was later denied. 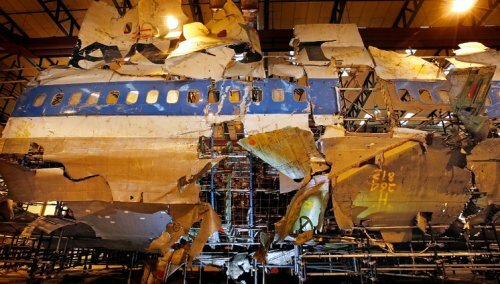 Libya offered up to $2.7 billion to settle claims by the families of the 270 killed in the Lockerbie bombing, representing $10 million per family. Several years have passed and many hours by law firms still have not completely settled the claims. Contingency fees for lawyers could be as much as $1 million from each of American family. Another top legal firm concluded contingency deals would give them fees between 28% and 35% of individual settlements. Pan Am Flight 103 was a Boeing B-747-121, the 15th B-747 built and delivered in February 1970. At the time of the crash this jet was 18 years of age and had accumulated over 75,000 flying hours. The FAA began an inspection of an Pan American's security procedures at London's Heathrow and Frankfurt airports, and found numerous violations of security regulations. The proposed $360,000 in civil penalties against Pan Am for alleged violations of security regulations. They also announced new security measures to go into effect within 48 hours for U.S. carriers at all airports in Europe and the Middle East. These included requirements that the airlines X-Ray or physically search all checked baggage, conduct additional random checks of passengers and baggage, and achieve a positive match of passengers and their baggage to keep unaccompanied bags off airplanes.